Growing up, we were always told to put on a cap in the winter – we lose most of the heat from our bodies from our heads – same thing with your home. Protecting the top of our homes during the winter is like putting on a warm cap. 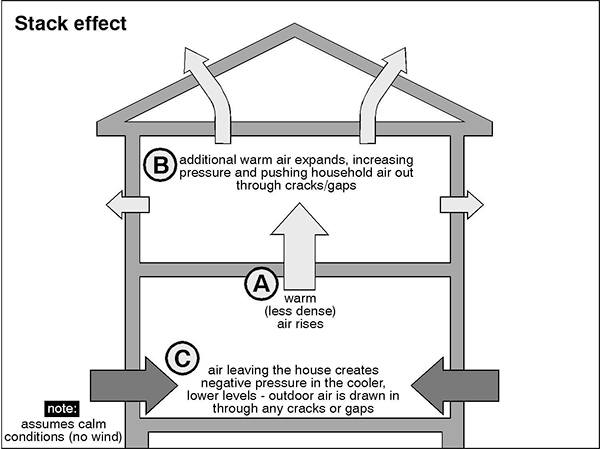 Our homes act like a big chimney, the taller the home, the greater movement of air, which is called stack effect. 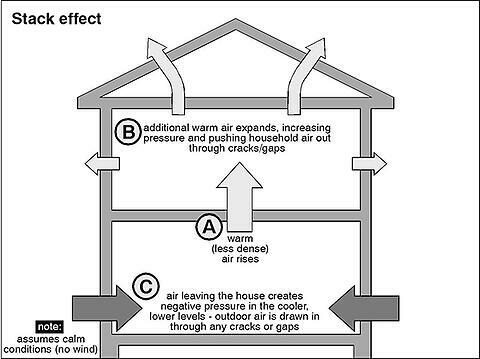 Stack effect occurs when the expensive heated air migrates to the colder air, which is located in the attic assembly or outside (high pressure to low pressure). This heated air will find “holes” or pathways to the outside, typically from older style recessed lighting fixtures, construction by-passes, attic and knee-wall access hatches and various other connection pathways between the home and the attic. Air sealing these areas is very important to reducing the stack effect during the winter….after that, adding additional insulation in the attic will significantly slow down the movement of air. Just because a home has insulation doesn’t necessarily guarantee good building performance. Many homes, specifically newer homes, have plenty of thermal insulation, but contain many construction by-passes and “holes” which allow air to pass directly through the insulation. That insulation turns into a furnace filter and becomes dis-colored over time. Once the top of the home is addressed, air seal the bottom; air is always proportional in its movement – the amount of air being lost at the top is the same amount of air coming in at the bottom. Therefore, air sealing electrical and plumbing penetrations to the outside significantly reduces infiltration air. Any portion of the basement that is above ground must be air sealed and insulated – don’t worry about those areas below ground. Air sealing the basement not only will reduce energy usage, but will keep all those pesky critters from finding a warm, dry home for the winter. 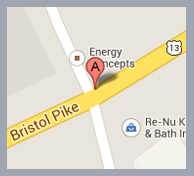 Remember, address the top and bottom of your home for greater energy saving, comfort and building performance. Does this leave you wondering how efficient your home is? How much energy that might be wasted? ECI is here to help!